Lawrence S. Krieger, The Inseparability of Professionalism and Personal Satisfaction: Perspectives on Values, Integrity, and Happiness, 11 Clinical L. Rev. 425 (2005). Through his writings and teachings, Professor Lawrence Krieger has devoted a notable—dare I say, even honorable—body of work on the humanistic side of lawyering. Thus, even though his article, The Inseparability of Professionalism and Personal Satisfaction: Perspectives on Values, Integrity, and Happiness, was published more than a decade ago, it still reads with relevance today, especially in light of the many worries that law teachers have expressed regarding the professionalism issues with current law students. His article here first discusses reasons why law schools have been teaching a limited sense of professionalism—restricted to only “telling law students and lawyers that they should act in certain ways” for either vaguely described “noble reasons” or singly to avoid bar discipline. Then it illustrates how to redirect that teaching to a more noble and personally fulfilling sense of professionalism. Such training should be more specific, relevant, and profound, according to Krieger’s article. It ought to be tied to professional satisfaction, happiness, and a deep set of inherently principled values. Through humanistic and empirical science, he shows why this connection is true and how to instill a deeper, more personally satisfying sense of professionalism in our students. To connect professionalism to career and life satisfaction, Krieger begins from a place of dissatisfaction, describing the empirical evidence amongst lawyers that reveal their low career satisfaction and high concerns for mental health issues. “Those values and motivations that promote or attend professionalism have been empirically shown to correlate with well-being and life satisfaction, while those that undermine or discourage professionalism empirically correlate with distress and dissatisfaction,” Krieger writes. He also relies on the Maslow hierarchy of human needs that explains people’s drives for growth and satisfaction: people pursuing higher needs, such as self-actualization and esteem, tend to experience growth motivation and psychological maturity; those pursuing lower needs, such as survival, security, competence, belonging, and respect from others, experience more deficiency motivation accompanied by minimal life satisfaction. All of these correlations are also supported by modern psychological research, which Krieger examines. Between intrinsic values of purpose and personal happiness and external motivators such as money or status, modern psychological research builds on Maslow to show that “when intrinsic values and motivation dominate a person’s choices she tends to experience satisfaction and well-being, whereas when extrinsic values and motivation are most important to her she will experience angst and distress.” Those values that promote happiness are likely to lead to professional behavior; while the vice versa seems to be true. Furthermore, Krieger finds that the intrinsic value of integrity is tied to professionalism and satisfaction. Because law school and the legal profession places heavy emphasis of external rewards, law students can be led astray from professionalism and career happiness by their drive to seek out such extrinsic motivators. In this way, Krieger offers a teaching exercise to instill in students an awareness of the correlation between intrinsic values and professionalism. He makes his students actively seek out intrinsic values by having them write out hypothetical eulogies of themselves followed by lessons on an idealized professionalism that seeks out noble behavior, by introducing research on the dismal mental and emotional well-being of attorneys, as well as studies on the typical goals and behaviors of happy and healthy individuals. After such lessons, Krieger asks his students to revisit that eulogy to identify intrinsic values that students have written about in regards to themselves. Then students must match up those identified values with values that promote professionalism. As Krieger notes, “[t]he results of this exercise are illuminating, because they show students and lawyers the kinds of things that matter most deeply to them.” In running this exercise, Krieger has observed that his students tend to express intrinsic values and virtues in their eulogies rather than external ones. Ultimately, this exercise helps his students differentiate the intrinsic values that lead to personal fulfillment and professionalism from values that would distort their sense of professionalism and career identity and possibly hinder personal fulfillment. It’s an intriguing exercise, odd in the sense of what’s required is writing one’s own eulogy, but goal-oriented in nature and form, where the law teacher shapes students’ conception of professionalism by getting them to actively acknowledge on their own the types of intrinsic values that professionalism embodies and what values they ought to seek. Dr. Angela Duckworth is a professor of psychology at the University of Pennsylvania. Her book Grit came out last year, and it is spectacular. In the first part of the book, Dr. Duckworth makes the case that grit matters. She discusses various research and psychological studies, and she shares interviews with people from all walks of life including West Point cadets and professional athletes and school teachers and business moguls. She also includes a ten-question self-assessment to measure how gritty you are (see her website: https://angeladuckworth.com/grit-scale/) to measure how gritty you are. Dr. Duckworth then discusses how to grow your own grit, i.e., how to develop and nurture passion and perseverance in yourself. But it’s the last part of the book that was most intriguing to me as an educator (and frankly, as a parent)—how to help cultivate grit in other people. She talks about parenting for grit and about how to create a culture of grit. It is this portion of the book that I will be rereading before the start of every semester to contemplate how I can encourage passion and perseverance in my students. In addition to being substantively fascinating, the book was wonderful to read. It was a powerful book for me as a person, as a parent, and as a professor in charge of encouraging high levels of achievement in my students. This is the kind of book I will give as a gift for every graduation to which I am invited. I will likely make my own son read it when he finishes high school and starts out on whatever path is next. I would like every incoming law student to read it. You most definitely should as well. By Ann Sinsheimer and David Herring Professors of Legal Writing at University of Pittsburg School of Law. 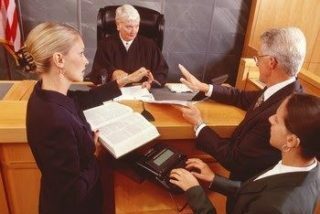 This article reports on the results of an ethnographic study of associate attorneys in the workplace, specifically studying what they actually do in terms of reading, writing, and communicating. Not surprisingly, the study found that associate attorneys spend most of their time reading, writing, and communicating. The fascinating part of this study is the finding that associates are not reading many judicial opinions, writing many formal memos, or communicating in a courtroom setting. The study found that lawyering for junior associates was fundamentally about reading: both digitally and in print. They read primary authority, but most frequently, they read broad-based secondary authorities and non-legal texts. These associates read often in print and bounced between free on-line sources and paid on-line sources, being very conscious of the high price of the paid on-line resources. Reading closely and carefully was important to the associates but many times they skimmed and scanned documents in an effort to efficiently ferret out the importance of the document. Associates had to quickly hone their ability to read with a purpose: to solve a problem. The study also found that associates did write: a process which began with reading and rereading the information they had gathered to substantiate their writing. Often working from templates, associates spent a good amount of time editing their writing before sending their work to their supervisor. As email represents a large portion of their writing, much effort was spent honing their writing, focusing on word choice, tone, and content. The article goes on to discuss other interpersonal skills exercised and needed to help associates be successful, namely teamwork (in a vertical structure with a senior partner), organization, and time management. Prioritizing and communication as a team rose to the top as critical skills. Wrapping up the article, the authors suggest law schools look at helping students read for the purpose of problem solving. As for writing, the authors suggest law schools, across their curriculum, have students create emails for various purposes. Further, teaching students to use and change templates or forms is an invaluable skill. 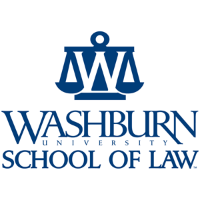 Lastly, law schools should create opportunities for law students to practice the interpersonal and communication skills necessary to navigate the “sort of high pressure and hierarchical workplaces” observed in the study. The article gives several suggestions on exercises to use. Article: “All of the Above: Computerized Exam Scoring of Multiple Choice Items Helps To: (A) Show How Exam Items Worked Technically, (B) Maximize Exam Fairness, (C) Justly Assign Letter Grades, and (D) Provide Feedback on Student Learning” by Lynn M. Daggett, 57 J. Legal Educ. 391 (Sept. 2007). All of us are working to integrate formative assessment pursuant to the mandates of ABA Standard 314, and multiple choice exams are one way to do it. However, few law teachers have training in how to use multiple-choice questions effectively. While it is certainly not a recent article, Professor Lynn Daggett’s article is instructional and encouraging to both the novice and experienced teacher. In her article “All of the Above: Computerized Exam Scoring of Multiple Choice Items Helps To: (A) Show How Exam Items Worked Technically, (B) Maximize Exam Fairness, (C) Justly Assign Letter Grades, and (D) Provide Feedback on Student Learning,” Professor Daggett introduces her readers to the strengths and limitations of multiple choice questions, explains what they can be used to measure, shows how data can be used to guide the assignment of letter grades, and provides specific examples of the concepts in use. Professor Daggett begins by explaining “core psychometric concepts” including validity (construct, predictive, and content) and reliability. She also sets the framework for assessment: that it can be criterion-referenced or norm-referenced. Criterion-referenced tests measure whether a student can demonstrate mastery, whether it be of a skill or a concept. A norm-referenced evaluation, on the other hand, compares a student’s performance against her peers. Effective instruction and assessment both require intentionality on the part of the instructor, and “law teachers have to decide what the purpose(s) of the [test/question] is, including whether the [test/question] is designed to separate out levels of learning within a class (norm-referenced evaluation), or to measure whether students have mastered specific concepts or skills (criterion-reverenced evaluation).” With the instructor’s goal identified, Professor Daggett then explains how computerized scoring can be used as an assessment tool. As previously noted, Professor Daggett’s article is not just informative; it is instructional. She explains how to decipher and use item analysis, which is part of a standard computerized scoring report from a multiple-choice exam. The article details how to judge the efficacy of test questions, provides an example of the specific information shared with students after an exam, and encourages all of us to provide feedback to students about concepts they have not yet mastered. With thorough explanations and three appendices, you should come away with a better understanding of how to use multiple-choice questions fairly to assess student learning. Article: “Empirical Evidence that Formative Assessments Improve Final Exams” by Carol Springer Sargent and Andrea A. Curcio, 61 J. Legal Educ. 379 (Feb. 2012). Are you integrating formative assessment in your courses to satisfy ABA Standard 314, but wondering whether your time to develop, implement and evaluate student work will improve students’ learning? In the article “Empirical Evidence that Formative Assessments Improve Final Exams,” Professors Carol Springer Sargent and Andrea A Curcio report that shifting away from a single summative assessment to a combination of formative assessments over the term coupled with a final cumulative exam provides a measurable performance improvement to 70% of the law students in the course. The authors describe their study, review types of and benefits from formative assessments, list practices to improve effectiveness of feedback, and seek to explain why the term-long formative feedback boosted performance only for students in the top 70% of LSAT score or undergraduate GPA (UGPA) cohort regardless of first year law school grades. Their study was based on data collected in two subsequent Autumn terms of a large, doctrinal Evidence course taught by the same experienced professor. The control section was taught using a problem method with case analysis and students were assessed solely by a cumulative final exam that comprised the full course grade. In the following year, the intervention section was taught using the same problem method with case analysis, but also received a series of formative assessments: five ungraded quizzes, a graded midterm, model answers, grading rubrics, and a self-reflective exercise. The final exam in the intervention section comprised 83% of the course grade (allocated so that the final course grade would correspond primarily to the final summative assessment). The authors compared the final exam scores of students on eleven common final exam questions. The variance in common question scores, 3.02466 points out of 50 points, is about a half a letter grade (6.048 percent). Id. at 391. The effect for the top 70% of the intervention class, however, was 4.595 points out of 50, or almost a full letter grade (9.19 percent). Id. Before discussing the implications of their results, the authors reviewed best practices for implementing formative assessments to improve learning. Formative assessments improve learning by helping students identify misconceptions and knowledge gaps and by motivating or refocusing studying. In their view, the most effective formative feedback explains to students why an answer is correct instead of merely showing the correct answer. According to the authors, other strategies to make feedback more effective are providing suggestions to improve performance, delivering feedback close in time to the assessment. Id. at 381-82. The professors and students valued types of formative assessment differently. The authors posit that ungraded feedback may be more helpful in improving learning because it focuses the student on suggestions for improvement rather than solely upon the grades. Id. at 382. However, student evaluations showed that while many students found all the formative materials to be helpful, the graded midterm was valued more highly. Students commented that model answers, grading rubrics, and professor comments were the most helpful feedback, but peer edits and self-reflections provided the least useful feedback. Indeed, more than one-third of students surveyed found the self-reflective exercises unhelpful. Id. at 392. Sargent and Curcio write that the demonstrated benefit from formative assessment disproportionately accrued to the top 70% of students (arranged by LSAT or UGPA). Students in the intervention section with below median first-year law school grades did show improved performance, compared to the control group, but only if those students were in the top two-thirds of the class on UGPA or LSAT scores. Id. at 400. By correlating LSAT and UGPA with performance on the final exam, this study showed the bottom 30% of students by LSAT or UGPA (regardless of first year grades) either did not or could not use the information from formative assessments to monitor and improve the quality of their work as measured by performance on the final exam. Similarly, results from a similar prior study (comparing civil procedure courses taught by different instructors in the same term), showed that practice essays only helped improve final exam performance of students with above median LSAT scores and UGPAs. The authors presented potential explanations for the disproportionate allocation of benefit from formative assessment. First, it is possible that not all students are able to use feedback to improve. Students’ ability to calibrate what they know and don’t know is a metacognitive skill. Id. at 395-96. There may be a difference in students’ metacognitive abilities. If the top 70% of students possessed stronger metacognitive skills, they would be better able to process and apply information gleaned from formative assessment to improve their learning and subsequent performance on final exams. Id. at 384. The top 70% cohort may also have higher confidence in their abilities to effectively use feedback, which improves their abilities to better self-monitor and calibrate their comprehension. Id. at 400. Additionally, it is possible that students in the top 70% of the LSAT or UGPA cohort are more motivated by grades. Id. at 396. While the article provides evidence that formative assessment improves performance, the authors disclose are three caveats: First, they are not able to identify which types of formative assessment led to higher exam scores in the intervention section. While students did not report the self-reflective exercises to be helpful, student perceptions “are not a direct measure of the actual helpfulness of the materials.” Id. at 395. Second, it is possible that students perform better when they know their performance being measured, (the Hawthorne effect). Id. at 398. Finally, the authors questioned whether the formative assessments, which they described as practice materials, might inadvertently encourage performance-oriented goals rather than encouraging deeper mastery learning. “In other words, do [formative] practice materials support those whose main goal is to get higher course grades rather than assisting those who wish to truly comprehend and master the content?” Id. at 399. The authors did not believe that the shift to formative assessment unreasonably burdened faculty, particularly when faculty time over the entire term was considered. “While drafting the questions, model answers, rubrics, and self-reflective exercises initially takes a few hours, those materials do not need updating each term. Grading a short midterm also takes a few hours, but may result in faster final exam grading due to better quality responses. Alternately, giving a midterm may justify a shorter final exam, thereby reducing time spent grading final exams.” Id. at 400. Because formative feedback improves performance by explaining why an answer is incorrect, it may be possible to produce the same learning effect without administering and individually grading a mid-term, further minimizing instructor effort. The authors suggest undertaking a future study to discern whether providing a model answer to an ungraded midterm might provide a learning effect similar to individually graded midterms. Finally, they observed that completing formative exercises and providing feedback reduced the amount of traditional instruction time relative to the control section. Thus, feedback must be more helpful in improving learning than the reduction in class time to cover material. Id. at 398. However, the substantial improvement shown by the intervention group seems to show that reducing time for traditional instruction in favor of formative assessment may improve student learning at least as measured by final exam scores for the majority of students. Do We Need Subject Matter-Specific Pedagogies? In her recent Article Do We Need Subject Matter-Specific Pedagogies?, 65 J. Legal Educ. 839 (2016), Professor Kris Franklin invites us to consider the unique roles that the various foundational courses may play in the law school curriculum. Using examples drawn both from the other pieces in the symposium itself and an earlier collection of essays on the teaching of civil procedure, Franklin carefully considers what a law professor new to the subject might glean from her colleagues’ writing. She concludes that at the very least, studying the existing pieces on teaching civ. pro. would offer valuable tips on how to help students understand especially challenging subject matter. More broadly, she observes reading other scholars’ work on civil procedure pedagogy could refine her sense of how to use the subject to teach some of the critical skills that lawyers, and law students, must begin to master. This inquiry, Franklin tells us, would be valuable in and of itself, because it would make her (and any reader) a better teacher of the subject. Perhaps it is Franklin’s suggestion that most law Professors when asked what good pedagogy is, will respond in very broad brush, general terms, which lays the foundation for the article’s most salient point. At bottom Franklin suggests we examine each of the foundational courses and specifically identify which subset of the “good pedagogy” principles each class is best suited for rather than trying to make each class employ all the pedagogical tools we typically identify as good pedagogy. Criminal law introduces students to the importance and function of statutes (at least, it does so more than other first-year courses tend to). Most criminal courses heavily reference either the Model Penal Code or the state or federal penal law.Perhaps they even study and compare more than one of these sources. Yes, there are codes relied on in other introductory courses, but criminal law courses teach students that they must always read carefully the specific language of the statutes to determine what offenses might legitimately be charged for a given set of facts. Contracts law is particularly intricate. It could be especially important in helping to hone students’ analytical precision. Furthermore, its problems have to be approached in an unusually constant order: asking first whether a legally binding agreement was formed (mutual assent plus consideration); second, whether it was breached; assuming it was, whether there are any defenses to that breach; then finally, what if any damages the parties to the agreement may claim and receive. This remains the case despite the fact that there is wide variation in the order in which these basic steps are covered in contracts courses. If students grasp this “flow chart-ish” nature of analyzing contracts problems, they are often well on their way toward understanding contract law itself, and they have reinforced an organizational skill that may be helpful in other areas as well. Constitutional law is probably the only foundational law course, maybe the only class in law school altogether, in which each and every case matters for its own sake. 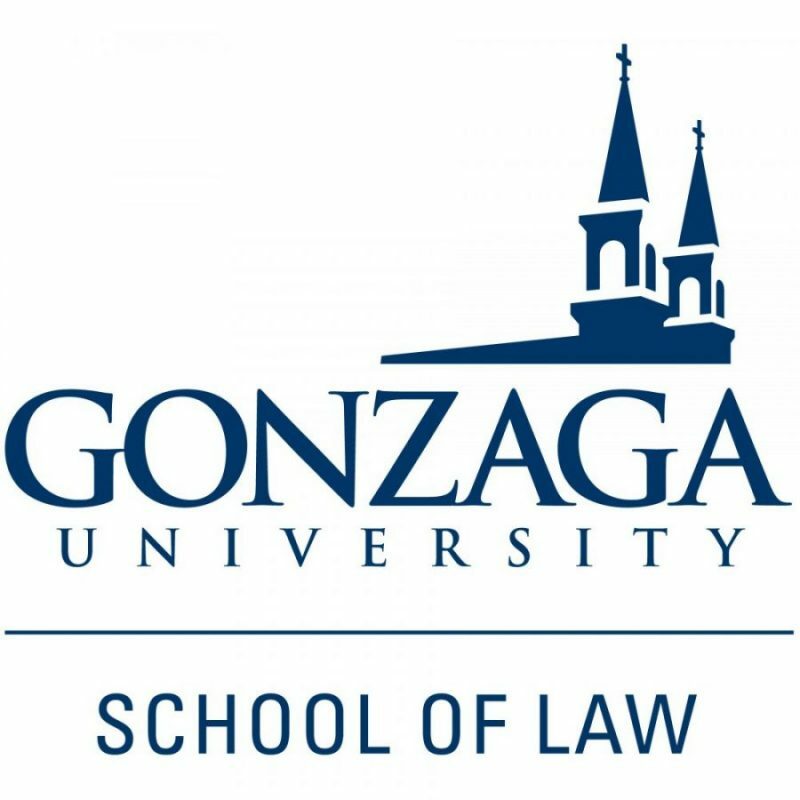 Consequently, constitutional law as a discipline requires analogical reasoning to important cases in a way that few other introductory law courses do. Beginning law students often do not use cases well, in part because they find it especially difficult to fathom why they are reading particular cases. Students frequently cannot distinguish those cases they are reading as simply being among any number of examples that might have been selected to illustrate how a particular legal rule operates, as opposed to those leading cases that are assigned because they introduce or solidify the doctrine. In contrast to most other required introductory courses, allcases in a constitutional law casebook are likely leading ones, while this is true of perhaps very few of them in a property casebook. Students of law should therefore learn and use those cases in different ways. A teacher in constitutional law may help students understand why the assigned cases have unique importance in this course, which could in turn help law students discern the differences between leading cases and those offered merely as examples. If so, students could learn how to use cases in a more sophisticated way in all of their classes. Evidence problems seem to lend themselves to meticulous specificity in the application of a set of rules that becomes thorny when argued in given situations. Some evidence professors suggest that multiple-choice testing is especially useful in that subject because of the way rules of evidence are used in the courtroom–as points for rapid and discrete debate, often handled spontaneously and settled definitively. Regardless of assessment method, it may be true that evidence courses offer exceptional opportunities for their students to hone pointed argumentation skills within rigorous application of legal rules. She suggests that grasping this latter point would go a long way toward developing a broader theory of how each of the standard required courses in the law school curriculum contributes to the “gorgeous mosaic” of learning law itself. She invites us to consider how every one of our courses fits into that big-picture view of the legal curriculum, so that we can consciously teach each course to more effectively educate tomorrow’s lawyers. In addition to all of the above the article challenges us to examine the courses we teach and to actually quantify what good teaching entails beyond a simple and shallow reiteration of buzz phrases.